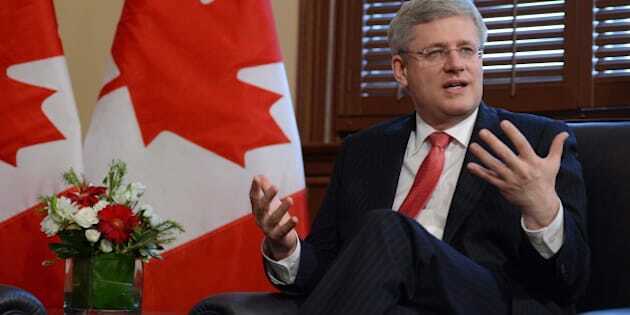 OTTAWA — The Commons' ethics watchdog says she may investigate several members of the prime minister's inner circle who were involved in the scheme to cover up a $90,000 payment from Stephen Harper's then-chief of staff Nigel Wright to then-Conservative senator Mike Duffy. In a letter to Liberal MP Geoff Regan, Mary Dawson, the conflict of interest and ethics commissioner, said she is not considering "at this time" examining the actions of current or former public office holders — but she might after Duffy's charges are dealt with. "Once the charges against Senator Duffy in respect of that subject-matter have been finally disposed of, I will at that time, or during the course of my examination of Mr. Nigel Wright, consider the possibility of examinations under the [Conflict of Interest] Act with regard to the conduct of any other former or current public office holders in connection with the $90,000 payment," Dawson writes in an August 6, 2014, letter obtained by The Huffington Post Canada. Dawson began probing Wright's actions in May 2013 but suspended her work a month later after the RCMP confirmed it was investigating him for any possible criminal acts. Now, Dawson says she can't resume her investigation until Duffy's trial is over, since it deals with the same subject matter, and any potential appeals are "finally disposed of" or the time to appeal has lapsed. Harper’s former director of issues management Chris Woodcock, currently the director of corporate relations at the Crown agency, Canada Mortgage and Housing Corporation. Liberal deputy leader Ralph Goodale told HuffPost he views Dawson's comments as "an undertaking on the part of the commissioner." Dawson was recently re-appointed for another five-year term. It is unclear how long Duffy's case will take to slog through the court system. Former Liberal senator Raymond Lavigne, who was charged and later convicted of fraud and breach of trust, waited four years before his case was finally disposed of. "Timing is a problem," Goodale admitted. "But the fact of the matter is there is nothing we can do about that, other than keep reminding the public and keep reminding the relevant officials, in this case the commissioner, that there are outstanding questions, they have not been resolved, the answers have not been provided." Goodale said he strongly believes the case won't be ignored by a future conflict of interest and ethics commissioner. "[They] wouldn't want to carry any kind of suggestion that they failed to pursue their mandate with the assiduousness that people expect," he said. "The government won't be able to sweep this away." Duffy, a former newsman appointed to the Senate by Harper, was charged last month with multiple counts of fraud and breach of trust. The Mounties allege he defrauded taxpayers of $90,000 by illegally claiming housing expenses he wasn't entitled to, as well as $50,000 for expenses claims that were unrelated to his Senate business and another $60,000 related to the awarding of consulting contracts. Duffy also faces charges of bribery of a judicial officer and frauds on the government for corruptly accepting that $90,000 cheque from Wright to repay his politically embarrassing and allegedly illegal housing claims. The RCMP chose not to charge Wright. Court filings from the Mounties indicate other staff members in Harper's office were involved in the apparent scheme to whitewash an audit report critical of Duffy. None of those staff members have been charged either. Wright, who may be a witness for the prosecution, moved to London in July and has taken a job with his former employer, Onex.